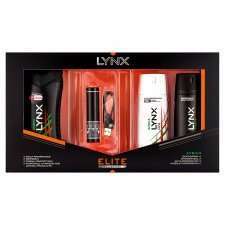 This is a great deal for a Lynx Africa triple pack at half price. The bonus with this is it comes with a portable mobile phone charger which is compatible with Samsungs/HTC phones. The charger alone is worth the price. Any idea of mah? Hot either way, I assume 2000? ​Cheaper in Wilko for the spray and gel at the moment. I think £2.75 a set. Does anyone know if the power bank works with iphone 5s? yes, but you'll need to use proprietary iPhone usb cable - these powerbank chargers are supplied with usb-micro usb cables. Other than the cable issue though, it should work for any device. They do tend to be **** though, and only any use for helping a phone keep it's charge longer rather than charging it up. The EE powerbanks are/were crap and this will be similar. ​Cheaper in Wilko for the spray and gel at the moment. I think £2.75 a se … ​Cheaper in Wilko for the spray and gel at the moment. I think £2.75 a set. Correct for Wilko's. Saw it in there myself today. Heat.